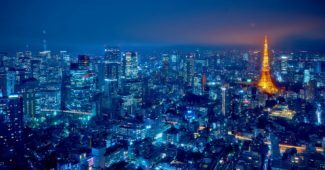 Tourism has evolved to be one of the biggest industry for all those countries blessed with the wealth of sightseeing, historical venues and bizarre places. People travel to tourism points for pursuance of knowledge, to spend their holidays or in relation to their profession. 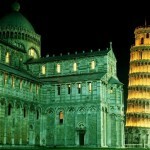 One such place that invites your attention is the Leaning Tower of Pisa in Italy. Let’s have little brief and thing of interest about this tower. As everyone knows that Italy is located in Europe’s southern region and it ranks among the most progressed nations in the world. Italy is also known for its social, political, military and economic system besides its magnificent culture, history, heritage, tradition and centrally its marvelous monuments such as Colosseum, Sistine Chapel, and Leaning Tower of Pisa. 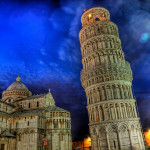 The leaning Tower of Pisa is situated in Pisa and it is one of the exemplary architectural wonders known in the world. So, be ready to witness the glory of Leaning tower beside other attractions. Like every other traveler, you must be curious to prepare a list of things to do in Italy and anyone can bet that the very first thing that one lists while travelling for the first time to Italy is none other but the Leaning Tower. 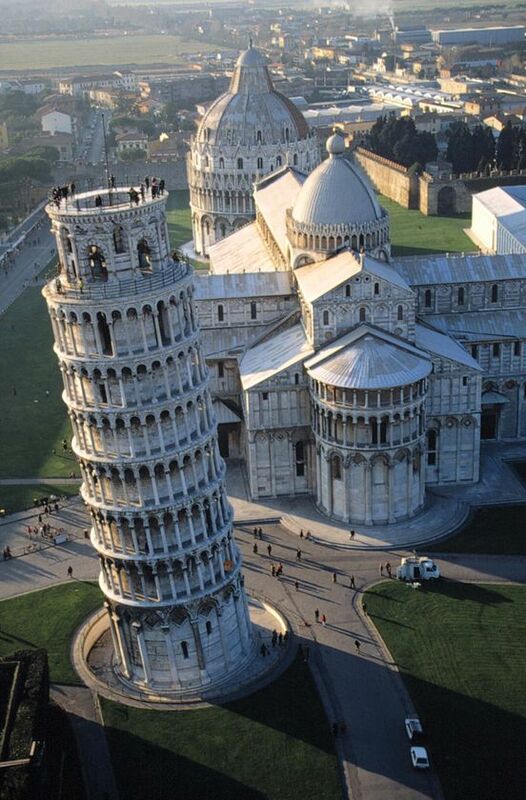 The Leaning Tower of Pisa is also called simply as the Tower of Pisa. It is a freestanding tower known for its one sided tilt. This tower is located just in the wake of Cathedral and enlisted as the third oldest formation in the town. The first two are the Baptistry and the Cathedral. The current tilt in the tower was not intended but it became due to inadequate foundation that was too soft as it could not support the building’s structural weight. The tilt kept on increasing until the completion of structure. Although in late twentieth and early twenty first century; efforts were made to correct the tilt partially but it is still evident. This tower is more than one hundred eighty three feet in height from tilted side but on the other side it is approximated as one hundred and eighty six feet. 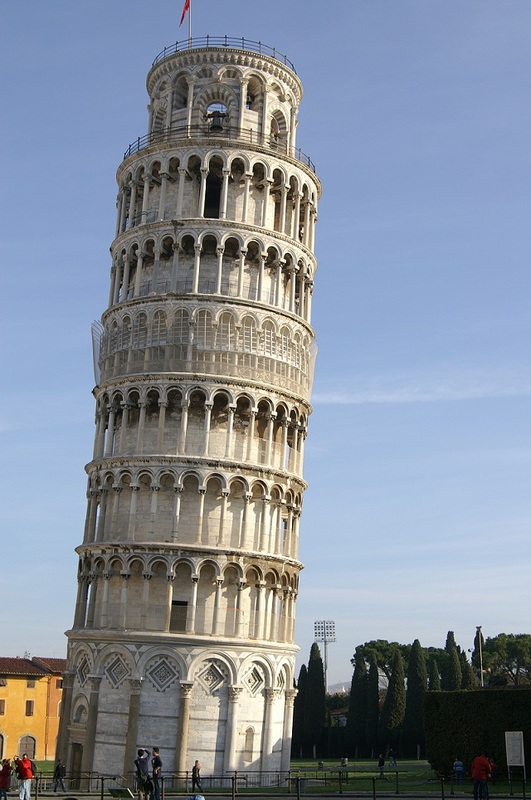 The approximated weight of the Leaning Tower is about fourteen thousand and five hundred metric tons. Currently the tower is leaning at an angle of 3.99 degrees. 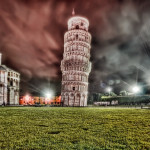 Regarding architect of the tower; there are different controversies as some people believe that the tower was designed by Bonanno Pisano and Guglielmo who were Pisa’s resident artists and were known for their bronze casting. But others indicate that the tower had been originally architected by Diotisalvi as it resembles similar to other creations of Diotisalvi including Baptistery and San Nicola. But still there is no real clue about true artist of this tower. It took one hundred and ninety nine years to construct this tower and the construction process was carried over in three stages. 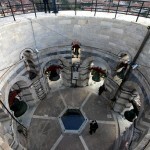 The construction process was initiated in 1173 and the tower was completed in 1372. However, further repair works have been done during the period from 1990 to 2001. 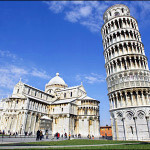 The Leaning Tower of Pisa was known to be the world’s most lop sided structure but two German churches challenged this status in fifteenth century. These two churches include the 14th century bell tower located in Bad Frankenhausen and the Leaning Tower of Suurhusen. But according to the latest updates of Guinness World Recoreds; Capital Gate Building located in Abu Dhabi, UAE has been recognized as the World’s most leaning structure made by man. 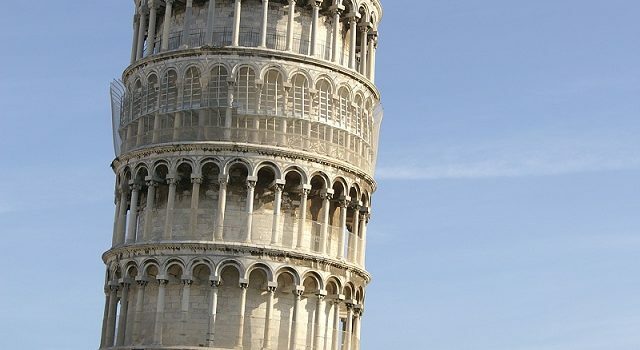 Anyhow, you should not waste a minute and book your tickets to explore the charm of The Leaning Tower of Pisa.